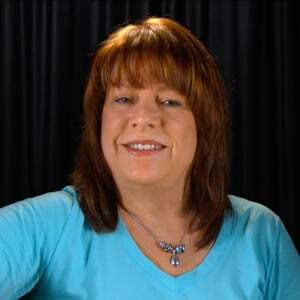 This group of song lessons is all about the 80s classic "Nothing But A Good Time", as made famous by Poison. 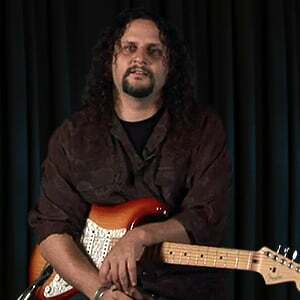 Lee Wanner will take you through the intro riff, the cool guitar solos, the song form and chord progressions, some tips on the tone and tuning, all followed up with a full play through at the end. In this set of 10 guitar lessons you'll learn all the parts to "Talk Dirty To Me" as made famous by Poison in the late 1980's. Our hard rock master Michael Elsner will teach you all of C.C. Deville's playing here: the chords you need to know to play the song and the chord progressions in the song sections; the palm muting technique and rhythmic concepts; the variations that occur; the overdubs; and of course the soloing! Once you get it all under your fingers you can play along in a full performance. In these 13 videos, Lee Wanner is going to lay out all the details to the song "Unskinny Bop", by Poison. Lee will give a synopsis of what he'll be teaching, then talk about the tones and tuning, then he'll jump right into breaking down the various verse elements. Then you'll learn the licks and riffs in the pre-chorus, chorus, and bridge, followed by the solo. 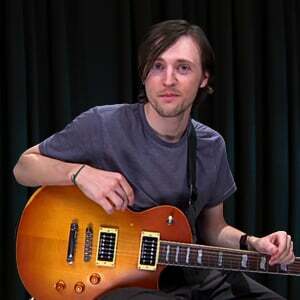 Lastly, Lee will teach the post-solo riff and the miscellaneous leads in the tune, and do a full performance play-along. In the final video, we mute the guitars so you can jam with the "rhythm section". 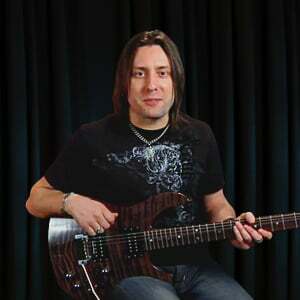 In this set of lessons, Eric Barnett will teach "Fallen Angel", by Poison. Eric will give a song synopsis and take a peek at gear and tones before he launches into the opening riff. Next is the intro melody, followed by the verse; then we'll go to the pre-chorus and the chorus parts. The various lead lines follow; then we'll learn the bridge before we take on the main solo and the outro solo. We'll end with a play along and a jam along.